As a new parent, it is important to know when your child is expecting to have their first teeth erupt into their mouths. Teeth eruption times vary from child to child, however, the first teeth normally begin to break through the gums at about 6 months of age. The first two teeth to erupt are usually the two bottom central incisors (the two bottom front teeth). 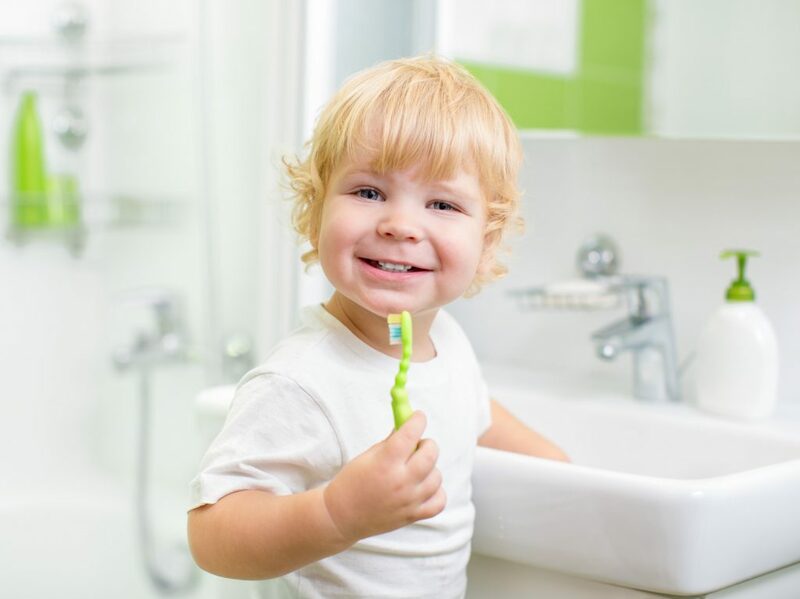 From here on your child will generally have four new teeth erupt every 6 months. After the bottom incisors, parents can expect the next top four front teeth to emerge. Other pairs of teeth will then fill in the gaps, one on each side of the upper or lower jaw. Generally, girls teeth erupt faster than boys teeth. The bottom teeth will always be the first to erupt before their top jaw counterpart. This process will continue until all 20 teeth have erupted by the time the child is 2 ½ to 3 years old. After 4 years of age, your child’s jaw and facial bones will begin to grow, creating spaces between the primary teeth. This is completely natural and provides the space for the larger permanent teeth to emerge. Primary teeth are smaller and brighter in color than permanent teeth so you will be able to easily tell your child’s teeth apart. The complete set of primary/baby teeth will stay in your child’s mouth until they are 6 to 7 years of age. Your children’s baby or milk teeth will eventually fall out as their permanent teeth begin to erupt around the age of 6 or 7. Almost the same order as their baby teeth erupted in their mouths, their permanent teeth will cause their primary teeth to fall out. Your child should have their new set of permanent teeth by the age of 12, although eruption times still vary from child to child. Between the ages of 6 and 12, a mixture of both primary teeth and permanent teeth reside in their mouth.